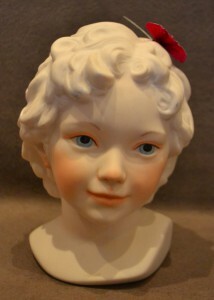 Trenton resident Rose Barclay worked as a decorator at the Cybis Studio on Norman Street in Trenton from 1969 – 1979, hand painting porcelain figurines being produced by the studio at that time. 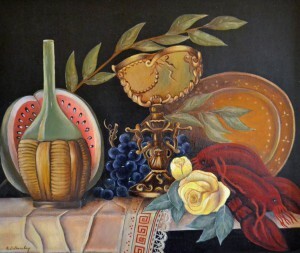 The Trenton City Museum is pleased to display paintings, drawings and figurines done by Mrs. Barclay in an exhibit on the second floor of the museum. Other works produced by the Cybis Studio are also on display. Cybis Porcelain was founded in New York in 1939 by accomplished Polish artist Boleslaw Cybis and his wife Marja Tym. In 1942, Cybis moved the business to Trenton and built his residence in Princeton. 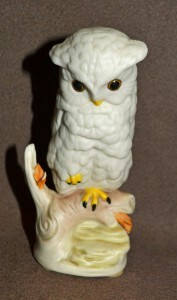 Cybis is best known for producing beautiful porcelain figurines of people, angels, animals and more. Works from his studio were often given by US Presidents as gifts to heads of state from around the world. When Cybis and his wife died in the mid 1950s the business was run by their employee and friend Marylin Kozuch and her husband Joseph Chorlton. In 1991, Chorlton turned the Studio into a Gallery and Museum to display and sell the works produced by the studio. For more information on the Cybis Porcelain business, Click Here. Rose Ambrose (formerly D’Ambrosio) was born into an artistic family in Trenton in 1917 and attended the Trenton School of Industrial Arts (now known as the Kelsey Building on West State Street) for two years. Rose’s talent was evident early on and can be seen in some of the drawings she created as a teenager on display as part of the exhibit. At the age of 21, she married fellow Trentonian James Samuel Barclay in 1939. Many steps are required to produce a porcelain figurine. Cybis figurines are notable for the beauty of their translucent porcelain, formulated by Boleslaw Cybis himself, the graceful and charming delicacy of their details, all hand-crafted, and the subtlety of their colors. Once a figurine has been designed, molds of each part are created. The molds are fired, the resulting porcelain pieces are put together, and the hand-crafted details are added. Then the pieces are hand-painted by artists who mix their own colors using minerals in oil as the base. Each applied color has to be fired separately since the different minerals require different kiln temperatures. One of the pieces that Mrs. Barclay decorated, the Wood Duck, required 17 different colors. For more information on the process of creating Cybis porcelain figurines, Click Here.